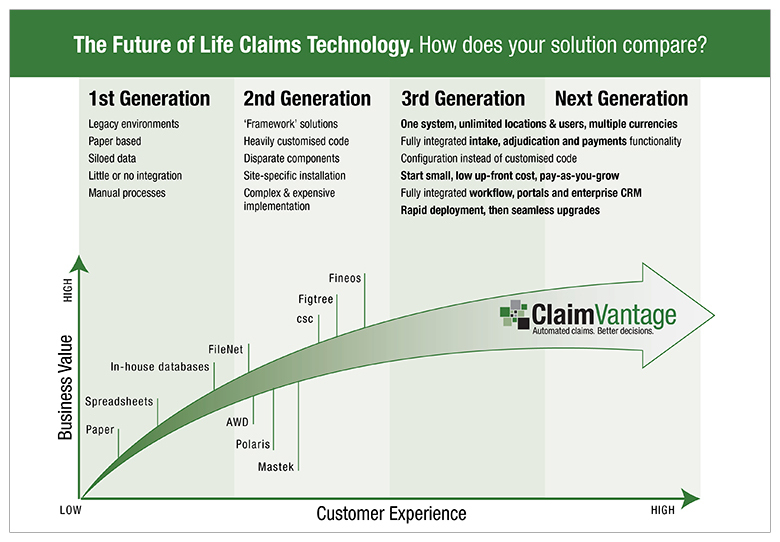 ClaimVantage is an international provider of automated claims-management technology. 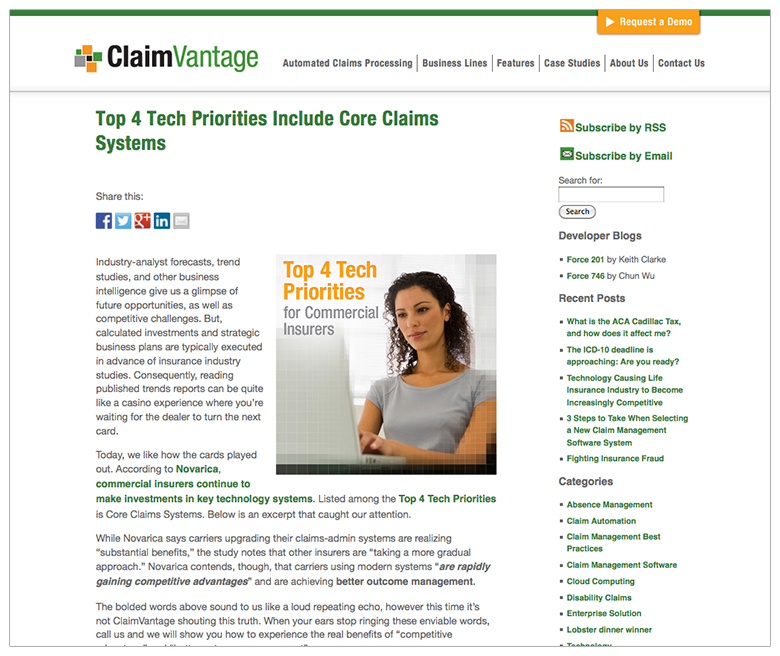 Their cloud-based solution automates the processing of absence, disability, accident, and life claims for insurance companies, third party insurance administrators (TPA’s), and self-insured employers. Visible Logic worked with their team to write industry blogs, design infographics, and use content-rich email campaigns to generate new leads and increase web site visitation. We developed case studies in video, print and web by interviewing ten key customers. Visible Logic helped ClaimVantage use video in two distinct ways. First for prospects to demo their software. 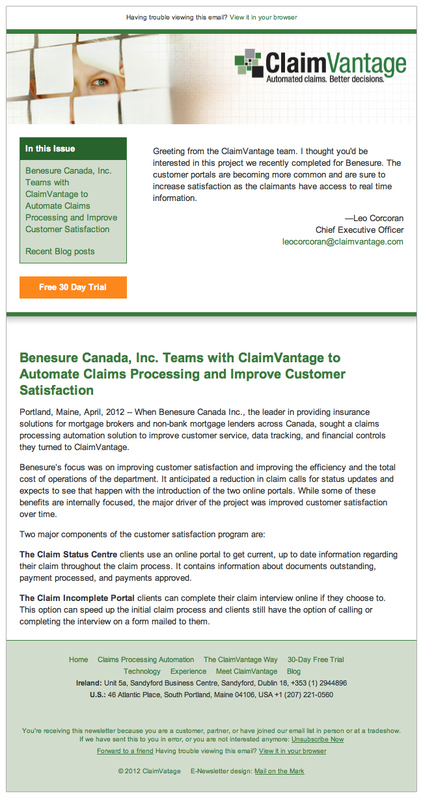 Also, case studies were developed in video as way to capture customer testimonials and highlight how they’ve benefited from ClaimVantage’s software. Our work supports their marketing team initiatives by developing tradeshow booths, print materials, investor presentations and other marketing or client onboarding materials.